Strengthening child and family welfare has been Ms. Gilmore’s vocation for more than 25 years. 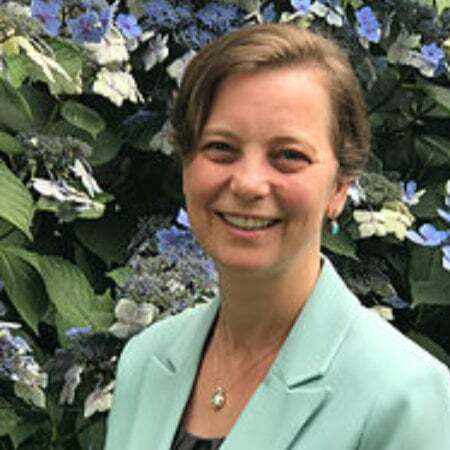 She previously oversaw child welfare and self-sufficiency operations in Hood River, Wasco, Sherman, Wheeler and Gilliam counties as a district manager for Oregon’s Department of Human Services. She has also contributed to the field through direct services, state and federal policy analysis, child welfare agency legal representation, and national consulting and capacity-building services. Early in her career, Ms. Gilmore had the honor of being a CASA volunteer. Ms. Gilmore has been published in, and served as a content reviewer for, the Protecting Children journal, and she has been published in American Public Human Services Association’s professional magazine, Policy & Practice. Ms. Gilmore was a 2008 recipient of a U.S. Department of Health and Human Services Adoption Excellence Award. She earned her Juris Doctor degree from the University of Connecticut School of Law and her Master of Public Administration from University of Nebraska at Omaha. She is a certified Project Management Professional.